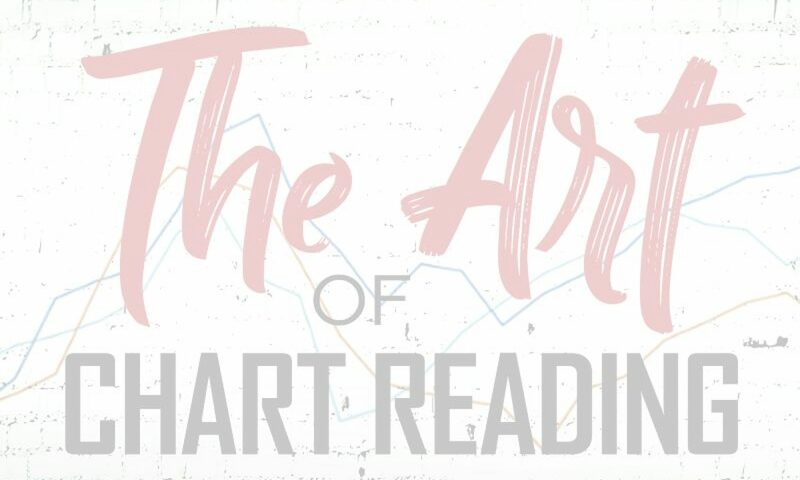 Long term players do not look at the charts like the active traders. 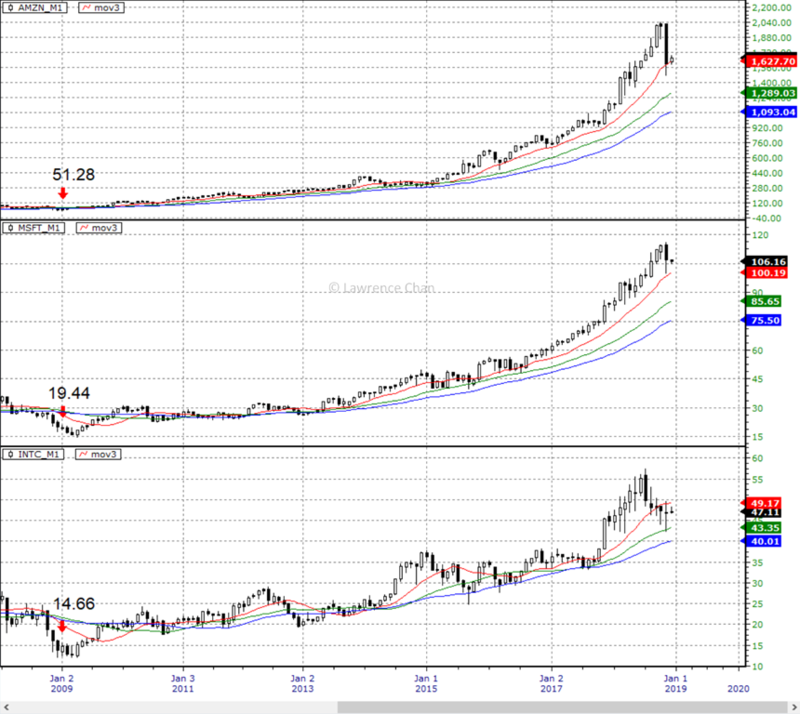 They care much about the trend and the long term averages. 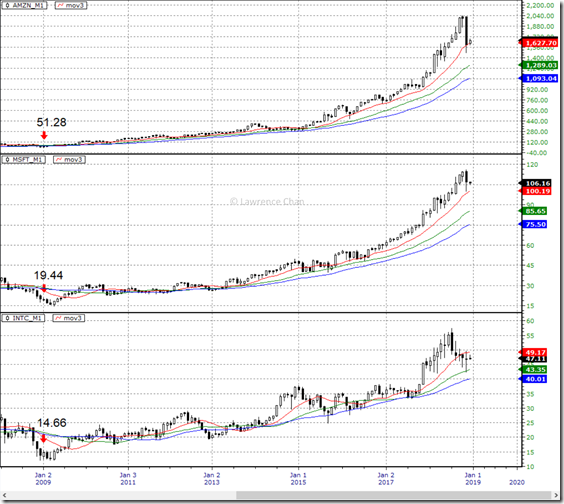 Here is a chart of Amazon, Microsoft and Intel with their monthly 12, 24 and 36 period simple moving averages. Are these long term players concerned? Hint: Of course they are since the beginning of this year. That’s why we have this sell off. The more important question: Are they willing to buy these market leaders now?